Mr. jones I concur that this Planet is Mysterious! but we do get answers from heaven sometimes! An old saying: "Man says: 'show Me and I will Believe." GOD says: "Believe and I will show you." As for our history being littered with WARS fought by men! I believe Satan and his minions from the Dark Side are always behind the curtain directing mankind to kill each other---Fallen Angles love Death and Not LIFE! You might want to factor in the tensions between China and Japan. China is loaded up and ready for WAR! Japan is loaded up and ready for WAR! The people in these Countries are good: it's their Crazy Gov's that are Ready for WAR! WWII, part TWO is under way: and WWIII is coming some day; the only Question is: WHEN? (Reuters) - China's Defence Ministry said on Thursday it has lodged a formal diplomatic complaint over what it called "dangerous provocation" by Japan for shadowing Chinese military exercises in the western Pacific. China and Japan have Hated each other through out history: why should that change now. Ha! Ha! China wants some Diplomatic solution?...Never Happen. WWII, the Japenese invaded China commiting countless murders , rapes etc..
China has a long memory. I'm not saying they are out for revenge, but feelings run deep. All of the history, you have given, is correct, Mr. Jones; and I concur: What we are NOW facing, is that, BOTH of these anti-American Nations are posed, to go into an Asian War, that will drag Russia, and the Middle East into this Global Conflict---Code Named: "World War III." I bet most folks realize that the majority of wars are staged, FF's, propaganda, political rhetoric, religious fanaticism, FEAR. The Lucitania was sunk by German subs, what many don't like to discuss is the Germans actually advertised the fact this vessel was carry munitions and armament, warning the potential passengers not to use this ship for passage. Pearl Harbor was another clustermuck,Hawain newspaper front paged the Japanese are attacking, all papers were rounded up by intell operatives and destroyed, though a few still exist. Vietnam was to be an Military advisory situation, JFK was ready withdraw troops,- LBJ &the Gulf of Tonkin FF assured a full blown war. The War on Terrorism was a well staged abomination. The WMD's in Iraq were Lies leading to genocide. OK, no rant..The muckers on high prepare for wars, step by step, 24/07/365 days a year for decades..No war begins without the full knowledge of the elite superpowers. I can't speculate on the outcome, but I can say Iran is on their table. That tells me in (my opinion only), if hit other nations will enter the grand charade. Back on track, China and Japan haven't gotten along for centuries, there have been wars prior to WWII.. This fact could be a pivot point of manipulation orchestrated by the true crew of power. Controll and very likely depopulation are necessary for this inner circle to establish global control. The USA has to be brought into a position of undeniable controll. Par Excellent ; thanks Brother! I still think these Death Mongers will Light Up the Middle East---WWIII! This is a valid point, though I understand that the vast majority of the public understand WW3 to mean the next mega global conflict as propagandized. 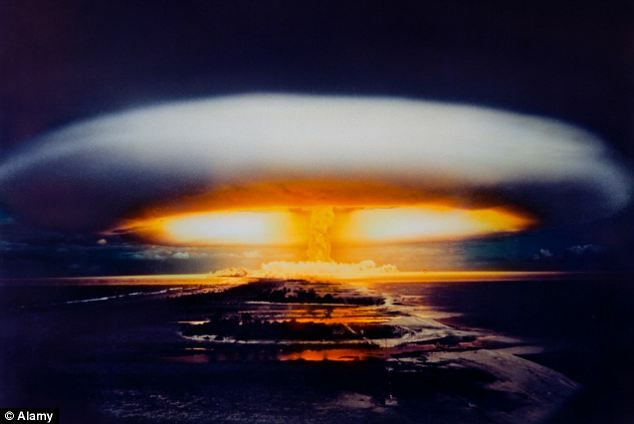 Britain and America nearly provoked the Soviet Union into launching a full-scale nuclear attack against the West at the height of the Cold War, according to newly released classified documents. They reveal that the world secretly came to the brink of a nuclear holocaust in 1983, in what some anti-nuclear campaigners say was a far more serious incident than the Cuban missile crisis of 1962. The British Cabinet papers show a Nato war games exercise in November 1983 was so realistic the Soviets mistakenly believed a Western nuclear attack was imminent. In response, the Soviets deployed submarines carrying nuclear missiles under the Arctic ice and more than a dozen aircraft with nuclear weapons. The secret documents were obtained after a Freedom of Information request by anti-nuclear campaign group the Nuclear Information Service. You are absolutely on target EG; we are still in a Cold War, [WWII part two], and thus we are on course for WWIII---and it will be a Catastrophe that this planet has not seen since the Flood of Noah! Wars and rumors of WAR---the NWO: USA & UK style is for WAR: and NATO is their Bully. PERIOD! and All Wars are Well Planned Ahead of Time! * State-run media claims the Chinese military has missiles capable of hitting cities all across the U.S. 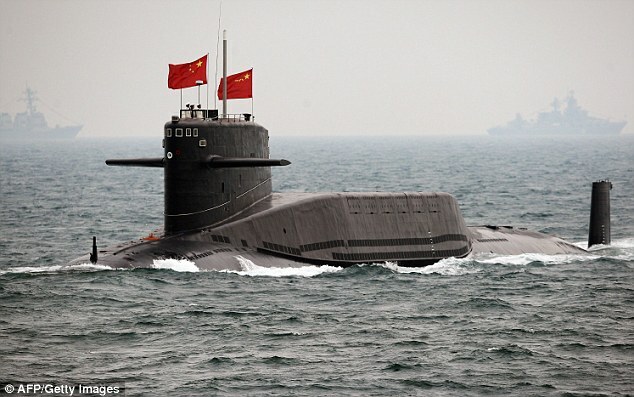 The Chinese government has revealed for the first time that it has nuclear submarines capable of attacking cities throughout the United States. Last week, state-run Chinese news agencies - such as China Central TV, the Peopleâ€™s Daily, the Global Times, the PLA Daily, the China Youth Daily and the Guangmin Daily - ran identical reports about the 'awesomeness' of the People's Liberation Army's submarine force. 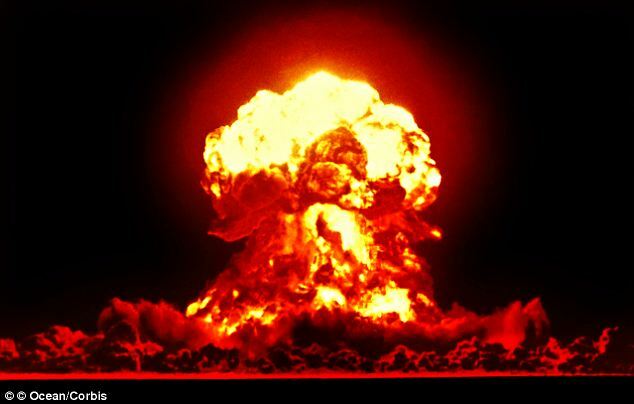 Now we can add China to the "Underwater Blow-up the Planet Club"---I trust China less than I trust Russia: so with the China Nuke Sub navigating the oceans this is a concern; as they would toss a Nuke at: maybe Japan?---I still feel WWIII is on the near horizon. 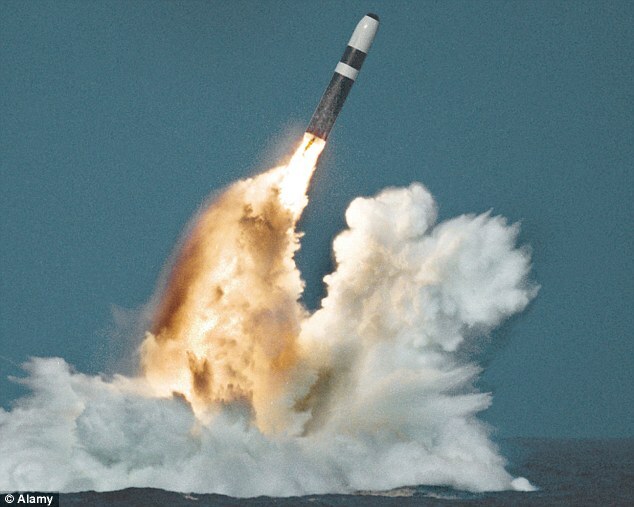 I fear a combined attack by Russia and China - using subs and going for an EMP blast. EG you could be correct; as this is a VERY REAL Possibility! If our electrical Grid goes down---we are sitting ducks on the World Pond! Everything and anything it with a chip would be deep fried. A retired Chinese military commander warned Japan that attacking Chinaâ€™s drones would represent the â€œfirst shotâ€� of a war, adding to tensions over islands claimed by both sides in the East China Sea. China should attack Japanese planes over the islands as a â€œminimum response,â€� Wang Hongguang, former deputy commander of the Nanjing military region, wrote in the Global Times today. The Global Times said in July that Wang had retired recently. Wangâ€™s commentary echoes warnings by Chinaâ€™s Defense Ministry after Japanâ€™s Sankei newspaper said the country may consider new rules allowing it to shoot down unmanned aircraft that enter its airspace. The islands, known as Diaoyu in Chinese and Senkaku in Japanese, are at the center of a diplomatic quarrel between Asiaâ€™s two biggest economies. Japan deployed fighter jets in September when an unidentified aerial drone was spotted near the islands, that countryâ€™s Defense Ministry said. â€œChinaâ€™s weight is too big, and its economic strength has surpassed Japan and the gap continues to widen,â€� Wang wrote. Shooting down drones would provoke a decisive response from China, Defense Ministry spokesman Geng Yansheng said in comments posted to the ministryâ€™s website Oct. 26. In a sign of continued tension, a Chinese research vessel entered Japanâ€™s exclusive economic zone near the disputed islands for a second day, Kyodo News reported on Nov. 2, citing Japanâ€™s coast guard. Most of us assume the threat of war with Russia has vanished for ever. But can we really be quite so sure? Thirty years ago this month, the world came as close as it has ever been to nuclear Armageddon. In the first week of November 1983, British and American forces in Western Europe were engaged in a gigantic exercise codenamed Able Archer, designed to test their procedures during the early stages of a world war. It was, of course, just a drill. But thousands of miles to the east, the men commanding the Soviet Unionâ€™s communist empire jumped to a very different conclusion. As Natoâ€™s forces ran through their exercises, the Kremlin assumed that this was a deadly ruse. The West, they feared, was poised to strike. These were the darkest days of the Cold War. For decades, democratic West and communist East had confronted each other across the Iron Curtain. In the corridors of power, suspicion and paranoia had reached extraordinary heights. Now, fearing the worst, the communist commanders put their forces on high alert. In missile silos across Eastern Europe, Soviet technicians made the last preparations for launch. If they had pressed the nuclear button, the result might well have been the end of Western civilisation. Only a few months earlier, a secret Whitehall war game had forecast the breakdown of law and order if Britain suffered a nuclear attack, while the British Medical Association calculated that 33 million people would be killed in a Soviet strike. Great info EG and historically TRUE! I remember these events as a young man: and now, the so-called Cold War is Getting HOT! Who are these people setting the Clock---as it always clicks forward: At 2 Minutes to Midnight---then WHAT? There seems to be a 2020 time frame by a lot of organisations. After 2020 WOIII will be less likely because the balance will have shifted too much away from the U.S. that they won't be able to do anything. I donâ€™t think there is a very aggressive military offensive first strike policy in place in China like Joul Skousen*** suggests. Why should China do this when they can achieve exactly the same goal by just doing plain business? The whole first strike idea is a military doctrine very much promoted within the hawkish Pentagon in the first place. Yanks are so damned paranoia that they want to attack countries who never attacked anybody in over an 100 years like Iran for instance. Of course itâ€™s good for the underground building business to spread that â€˜Chinaâ€™s gonna attack firstâ€™ meme as widely as possible but I donâ€™t see any prove of that unlike the constant over aggressive behaviour of the US which frightens more and more countries which now feel the need to defend themselves knowing that the U.S. is lead by paranoia chicken-neck psychopathic warmongering scum. But Joel Skousen has us believe that they do that to launch a first strike. I donâ€™t think so. I concur that China will not strike first. But they will be involved in WWIII. I still believe that the Middle East is the Hot Spot. and I believe that Russia is more likely to hit The USA first. Who, knows, with these crazy control freaks in the U.S.; they may bomb US! I think it is a moot academic point as to who will fire first. Take world war 2, with the squeeze being put upon japan before pearl harbour. Pearl Harbour was, to be blunt, a logical reaction to a strategic position forced upon the Japanese Empire. Now I'm not playing a blame game. What I'm saying is that who fires first may well be decided by the other side. Then look at how the Anglo Empire is behaving, the provocations, the constant encroachment on borders. I would agree that it does not matter WHO? starts the WAR---I just have a GUT Feeling that these bloody freaks WILL START A WORLD WAR # III. The Gutless New World Order is like a RAT Backed into a Corner---and NOW They Have To Fight!---are You Ready---I Am! News from Alex today [11/18/13] about Saudi Arabia having Nuclear Weapons; as reported in 'Jane's Weapons INT.' is an indication that the 'stolen Nukes' from the USA are in the Middle East and ready to start a limited WWIII in the Middle East. This has been a long term objective of the New World Order. And, now, it does seem that pieces of the jigsaw puzzle are fitting together! World War III: in the Middle East: I say: YES. Saudia Arabia, probably a candidate for the title "Most Evil Regime on Earth" is supposedly a signatory of the "Nuclear Non-Proliferation Treaty"
Will the international community scream blue murder and demand a UN Peace Bombing Mission of Saudia Arabia or will we die of asphyxiation holding our breath awaiting such a resolution from the UN Security Council. I'm Turning BLUE---you are right EG ---we'll be holding our breath; and watching the "Most Evil Regime on Earth" continue its' path of Destruction! As for The UN: they are "Utterly Nefarious"
World War III is on its' way and I still think the Middle East is the Powder Keg! While the kingdomâ€™s quest has often been set in the context of countering Iranâ€™s atomic programme, it is now possible that the Saudis might be able to deploy such devices more quickly than the Islamic republic. Best Line: "Obviously he is psychic, and any other such explanation such as being a NWO Minion would be a conspiracy theory." KISS MY ARSE HENNY...We The People KNOW that You and your Demons WILL START World War III---in The Middle East! The Time of WAR is Always on The Road Map of The New World Order! World WAR III---on The near Horizon?---I Say YES! Nah America will have a 2nd Civil-War to rid us of Globalists first. The Gloablists cannot concoct a believeable scenerio for going into WW3 at this point. The NWO has ALL The Weapons! and mankind always uses what man has made: The Civil-War is already underway: just say Racism! at this point in time---the NWO is running out of time---Rat Maggots Backed into a Corner---and the only way out is a World WAR III! I have to concur; as the American public is DUMB and they do not understand that this Nation is in a Civil-War Already---its' a Race War! I agree that it is their only option but who are they going to convince ? The Coast-to-Coast AM crowd would expose it big time. This is the one time where John Lennon-ism would work. "What if they decided to have a war and nobody showed up ?" Look at all the ineffective war the Globalists have had ? Afghanistan, Iraq, Libya, Yemen.... What decisive victory was had in any of these places ? NONE !!!! As it stands now the Globalists are going to have to get enough mercenaries to invade America as it is. I Agree With You; and the Mad Men in Charge are CRAZY! All I was saying is that these RAT Maggots are in a Corner: and they have all the weapons: Thus They will Use them! Because they are Crazy and Evil: and that is a Wicked Combination! For nearly 20 years, the secret code to authorize launching U.S. nuclear missiles, and starting World War III, was terrifyingly simple and even noted down on a checklist. From 1962, when John F Kennedy instituted PAL encoding on nuclear weapons, until 1977, the combination to fire the devastating missiles at the height of the Cold War was just 00000000. This was chosen by Strategic Air Command in an effort to make the weapons as quick and as easy to launch as possible, as reported by Today I Found Out. The Permissive Action Link (PAL) is a security device for nuclear weapons that it is supposed to prevent unauthorized arming or detonation of the nuclear weapon. 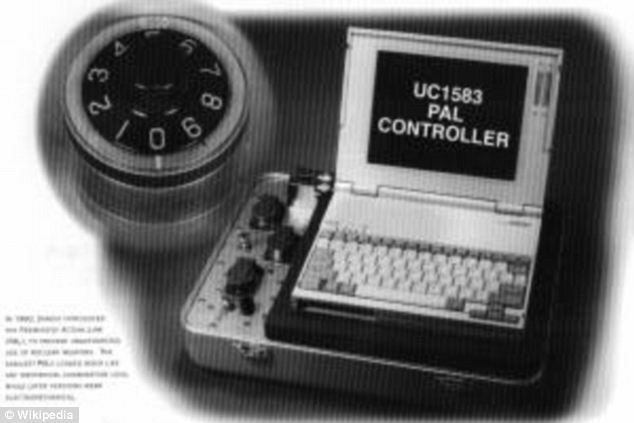 JFK signed the National Security Action Memorandum 160 in 1962 that required all nuclear missiles to be fitted with a PAL system. But nuclear experts claim the military was worried about the possibility of command centers or communication lines being destroyed in real nuclear war, stopping soldiers getting the codes or authorization to launch missiles when they were actually needed. So they simply left the security code for the weapons as eight zeros, getting around the security safeguards. Dr. Bruce G. Blair, worked as a Minuteman launch officer between 1970 and 1974. He has written several articles about nuclear command and control systems. Incredibly, he also writes that the vital combination for America's nuclear deterrent was even helpfully noted down for the officers. 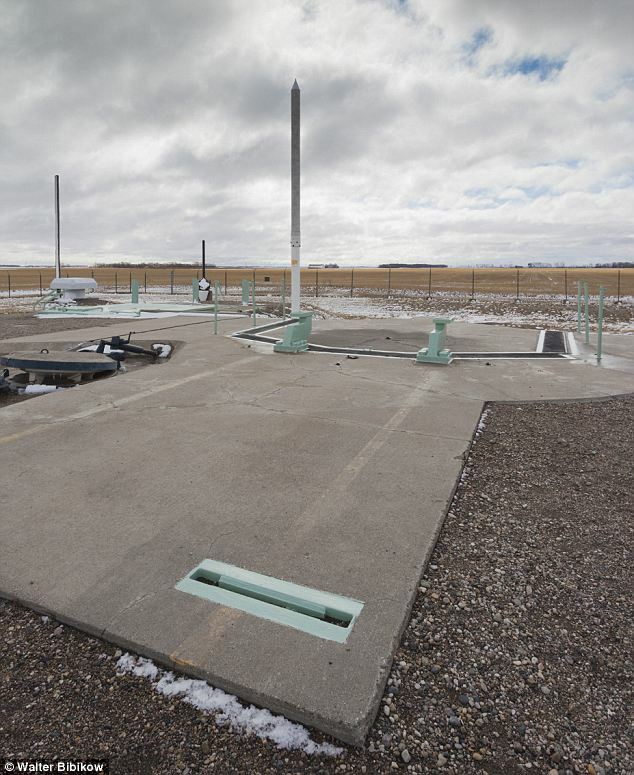 'Our launch checklist in fact instructed us, the firing crew, to double-check the locking panel in our underground launch bunker to ensure that no digits other than zero had been inadvertently dialed into the panel,' Dr Blair wrote.